Q: I love reading Mom Style Lab and seeing your fashion picks! However, I wear a size 12-14, so there have been many times when the items featured don’t come in my size. I would like to see some options in larger sizes. For example, right now I am looking for some great denim shorts (I love the Paige Denim boyfriend shorts you featured), other casual-chic clothes, and dresses I can wear from day to night. Any suggestions you have would be great! A: We’re so glad you enjoy reading MSL! We really appreciate your feedback and went on the hunt for denim shorts and stylish lines with a broader size range. Here are a few denim shorts comparable to the Paige Denim ones that go to size 12-14. Lucky Brand denim has an even broader range of sizes if you need it. 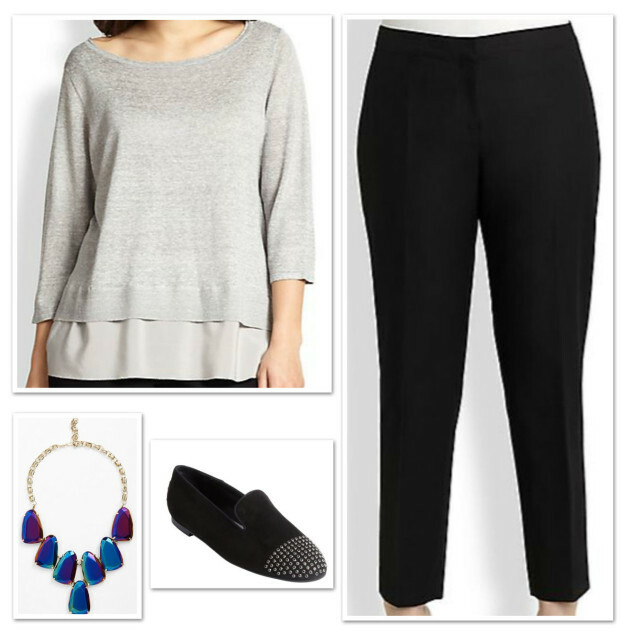 For other chic styles in size 14 and up, Vince Camuto has cute, trendy pieces and Lafayette 148 New York is known for its more classic designs. 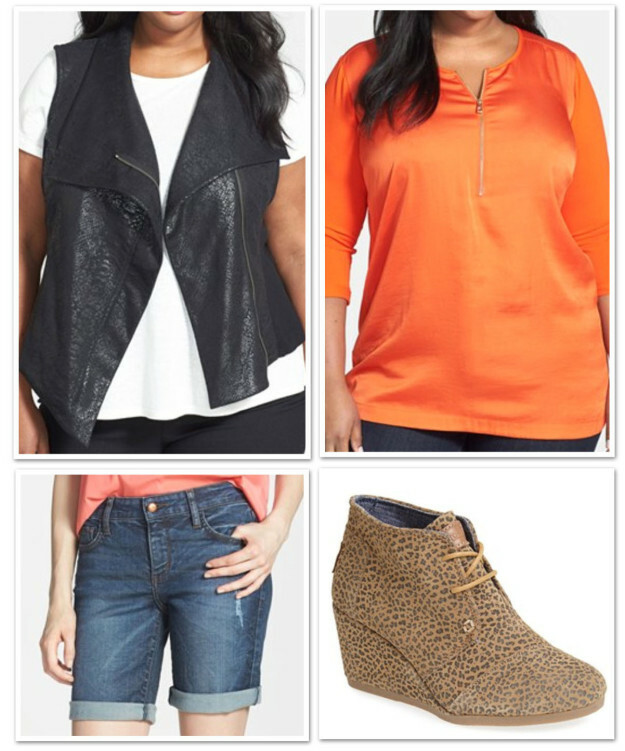 Here are some looks we love for fall. Stylist Tip: The cut of the vest draws the eye downward, creating a slimming line. Use prints to draw attention to areas you want to highlight — you can’t ever go wrong with a fun pair of animal print shoes!